One of the reasons why Green Light Skip Hire is considered to be the trend setter in the skip hire industry is the fact that we have the latest waste removal equipment. We understand that it is not easy to handle waste management tasks without the right machinery. You can therefore rest assured that we only use the best waste removal apparatus. If you are interested in a roll on roll off trucks, we have a fleet of them at our disposal. These trucks come in a wide range of sizes and capacities. It is up to you to choose the one that matches your requirements. It is also important to note that our Roll on Roll Off Skips are driven by highly experienced and responsive drivers. Modern roll on roll off trucks are highly sophisticated and therefore they need drivers who have the necessary experience. We assure you that every driver we give you has extensive experience in handling complex roll on roll off skip hire services. Apart from giving you a qualified driver, we will also provide you with experienced waste management manpower to load your waste. These experts are well versed with methods of handling different types of waste. Whether you want to clear a construction site or you want to deliver materials to a construction site, we can handle it. Our Roll on Roll Off Skips are available to all clients including commercial, industrial and domestic waste producers. We also handle projects of all sizes. So you should not hesitate to contact us regardless of how small or large your project is. 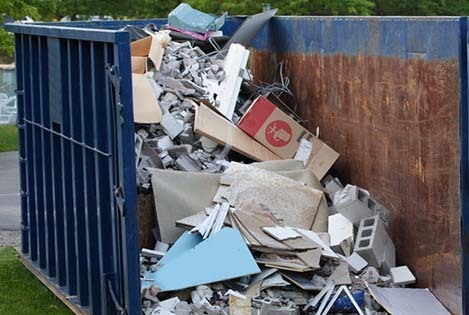 Whether you want a low sided skip or a lockable one, we can provide it without hassle.. You only need to give us the details of your project and we will give you our quote right away.